In 2014, it was mentioned in TOI that at least three-fourths of India’s population has abnormal levels of cholesterol. Google has been storming with searches like “how to reduce cholesterol“, “cholesterol-lowering foods“, “cholesterol diet” etc. But still, the problem has only been rising. Cholesterol is an essential evil. Essential because it helps in digesting foods or producing hormones. Evil because a higher concentration of cholesterol can attack our very core, the heart. So how can we reduce cholesterol? Well, before fighting this enemy let’s know about it a little. Cholesterol is an oil based substance that is present in every cell of our body. It is carried through the blood by lipoproteins. There are 2 kinds of lipoproteins: HDL and LDL. To know more about cholesterol and these lipoproteins, click here! Coming back to the recurring question: How to reduce cholesterol? Eat foods with good fats. Avoid foods with trans fats. Take up regular physical workouts. Change eating habits by including heart-healthy foods. There are many medications to keep your blood cholesterol level control. But changing your lifestyle can help to reduce the cholesterol naturally without any side effects. Well, at Truweight, we believe that food can be the answer to your health woes. And this goes for cholesterol issue too. So cholesterol-lowering foods is our answer to reduce cholesterol naturally! Soluble fibre can help in lowering bad cholesterol because these fibres bind the LDL or bad cholesterol in the digestive system and take it out of the body. 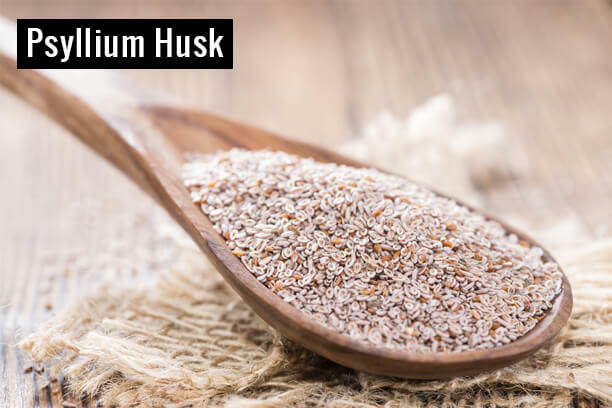 And psyllium husk contains about 70% of soluble fibre. It also lowers the total cholesterol level along with the LDL. Moreover, it is also known to make bowel movements easier. Many products are found that can bring to your required amount of psyllium husk supplement. Our product Trufibre has psyllium husk as one of the key ingredients. Again sprouted beans & legumes are packed with dietary fibres especially the soluble fibres. So these are very good for lowering of low-density lipoproteins and hence lowering of bad cholesterol effects. Sprouted beans & legumes are also known to reduce sudden blood sugar level changes. These are also rich sources of proteins. The best way to include sprouted beans & legumes into a diet is through salads. Ever tried adding sprouts in upma? Well, this recipe has added sprouts to the regular upma and it tastes absolutely heavenly. Studies have shown that spirulina supplementation can lower down the effects of high cholesterol. In a study, when a dose of 1 gram of spirulina was given to a group of adults with high cholesterol daily, at the end of the 3 months, they showed a decreased level of LDL cholesterol as well as the ratio of total cholesterol to HDL cholesterol. 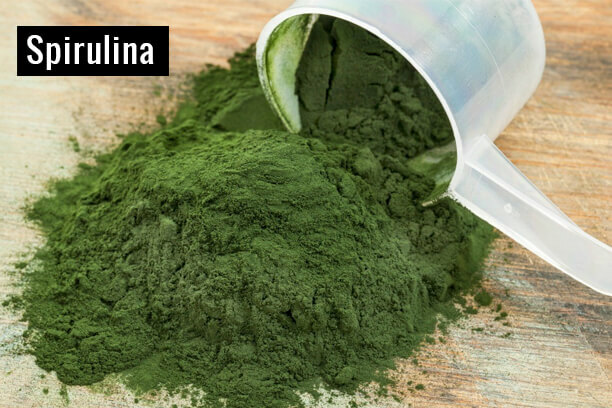 Spirulina is one of the best methods of reducing high blood cholesterol level naturally. It is also known to help in reducing blood pressure, body inflammation etc. TruGreen is a Truweight’s product with Spirulina. In many studies, it has been found that garlic can lower cholesterol levels. It lowers the total cholesterol as well as triglyceride levels while not affecting the level of good cholesterol i.e, HDL. 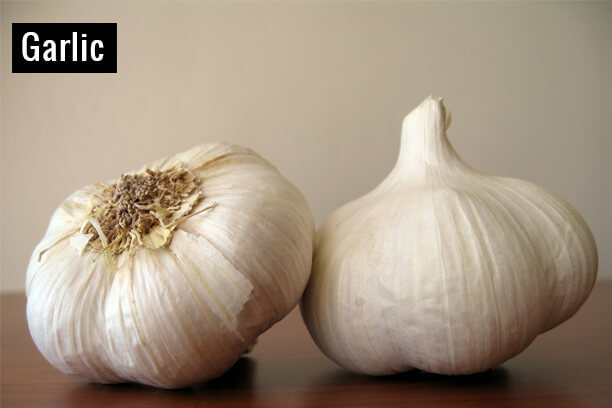 There have been debates though on which form of garlic is more effective on the cholesterol. Garlic in its raw form is found to be pretty effective. So, you can have grated garlic mixed with dressings. Symptoms of high cholesterol: There are no symptoms of high cholesterol levels as such. That is why it is more dreaded. You might be wondering why fish is enlisted under this food list to reduce cholesterol naturally. Because let’s face it, fish contains cholesterol too. 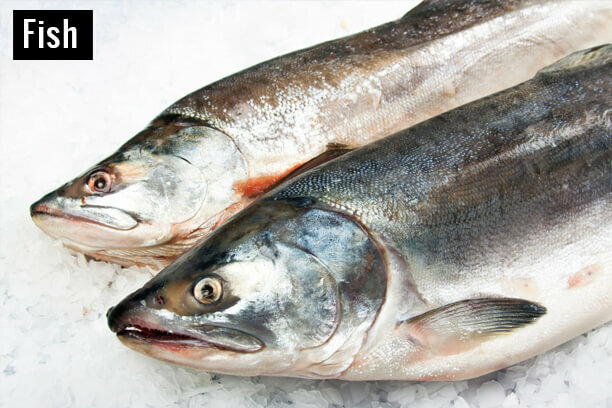 But what you may not know is that fish also contains omega-3 fatty acids. This is one essential fatty acid that can lower cholesterol. Many studies have also shown that fish oil supplements can reduce triglycerides in the blood. Some fishes that are very rich in omega- 3 fatty acids like Salmon, Sardine, Herring are found to increase the good cholesterol. So now that you know which cholesterol lowering foods can be included in your diet, we hope you are all set to fight the bad villainous LDL in your body. If you know of any other food that may help in putting a control in cholesterol levels don’t forget to mention them in the comments below. Cholesterol level can be affected by a proper weight management too. To know more about how to keep your cholesterol level in control with proper diets, you can consult a Truweight Nutritionist. All for FREE! Click here!